The ability to engage properly with Chinese people is a key skill for employees in any organization that wants to grow its share of Chinese business. You might be a CEO who‘s starting to deal with clients in China, or a frontline service professional who wants to keep visiting Chinese customers smiling. 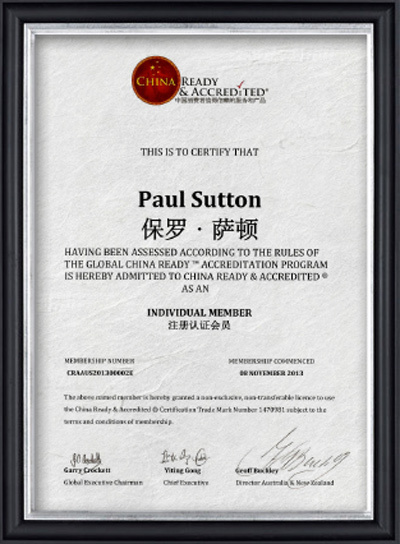 China Ready Specialist Training™ is the perfect solution. Delivered conveniently online, it gives you an understanding of Chinese culture, lifestyle, politics, investment mindset, history and economic development. The training focuses on respect for cultural sensitivities, do’s and don’ts, business and social engagement, regional diversity, language and the ever-changing expectations of Chinese consumers. Learn the protocols of how to greet, what to say, where to sit, how to toast, how to develop relationships, what gifts to give and how to give them. It’s essential knowledge for sales and marketing people, managers, human resources, real estate, financial and legal advisors, exporters and importers, customer service staff and those involved with government or non-government organizations. 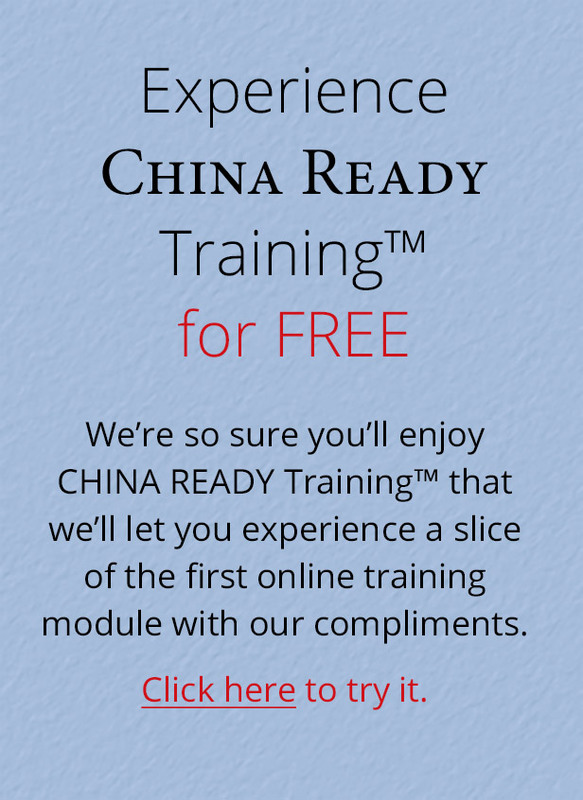 CHINA READY Specialist Training™ is entirely online, so it’s easy to fit into a busy schedule. You have six weeks in which to complete the course, which normally takes around six hours in total. You can do it in a day at the office, a couple of evenings at home or over a few weeks whenever you have a spare hour. It’s also extremely cost effective, priced at a fraction of a typical conference or professional seminar. Better still, many tax authorities around the world allow a deduction for the cost of the training. Check with your accountant or local tax authority to be sure. The online training was quick, easy and in a format that was interactive and engaging. With a lot of online training it is easy to lose interest, however the China Ready® animations made it fun and quite often very humorous. nailed the protocol and cultural aspects of China. There was so much valuable information and the Program covered things I had never really thought about before. The most valuable take out for me was understanding the difference between the Chinese education system and our own and the role of UnionPay. I had thought UnionPay was an American money transfer company and part of Western Union. How wrong I was! Following your fantastic training, we launched a special Chinese New Year package. Presented in red, sale price of $88.88, launched on 24 January leading up to Chinese New Year and we have already sold 122 of these packages. The only promotion has been a few posters and laminated flyers in our office. We also put up the co-branding China Ready & Accredited®/ UnionPay International displays on the front of the shop and inside - in the first week the shop did about 30 UnionPay International transactions. 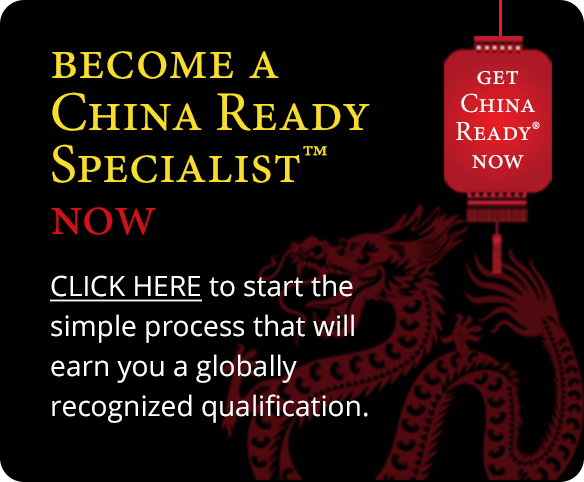 CHINA READY® has partnered with Kaplan, the world’s leading provider of lifelong education, to deliver the CHINA READY Online Training™. The online training consists of 12 core cultural subjects. Each individual who enrolls into the program receives a 1-year membership. 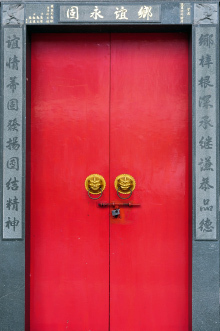 Gain cultural understandings that will help you in any in-China travel experience and engagement. *Membership needs to be renewed annually at a nominal fee.